Thomas Greenwood, an early Collingwood councillor and mayor, was the first licensee of the original brick hotel. The name refers to a variety of beer, a traditional strong ale from the north of England. The hotel was built of brick and had seven rooms (Rate Book 1864, 1870). 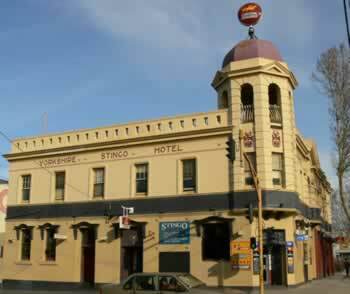 It was purchased by Carlton & United Breweries in 1912 and re-built in 1915. Prominent architects Sydney Smith & Ogg designed the striking classical design with its corner oriel tower. In 1967 extensive internal alterations were undertaken, much of the external rendered ornamentation was removed, and the facade was painted.